We interpreted 'Order, Order' in a slightly different way as we started to learn about some great artists. 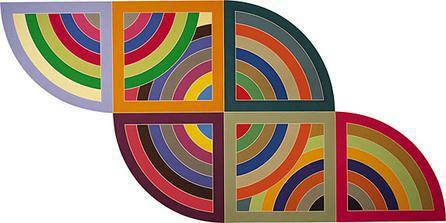 Frank Stella is an American artist who lives in New York. He doesn't like to paint emotion into his work, or portray recognisable subjects. Instead, his paintings are meant to be objects themselves. Much of his early work was very 'orderly' and used geometric and concentric shapes, and it was these paintings that we used as a stimulus to create our own geometric and concentric shapes using compasses and rulers.​ Please have a look at our photos to see how we're getting on!